Tucked away in the highland cloud forest, Los Quetzales Lodge & Spa is ideal for those longing to retreat from the hustle and bustle of modern living. At 7260 feet above sea level (2,200 meters), the reserve has the highest lodging facilities in the country. 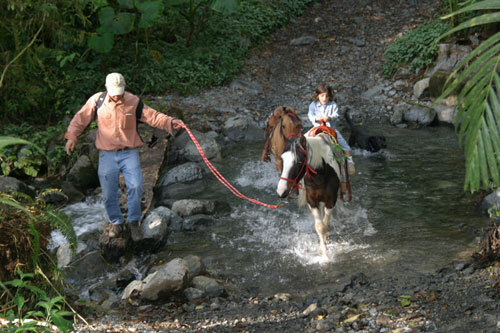 The lodge is located near the 407,000 acre Parque Internacional La Amistad, which straddles Costa Rica and Panama. Our 400 hectare reserve has been protected by the private efforts of its founders since 1970. 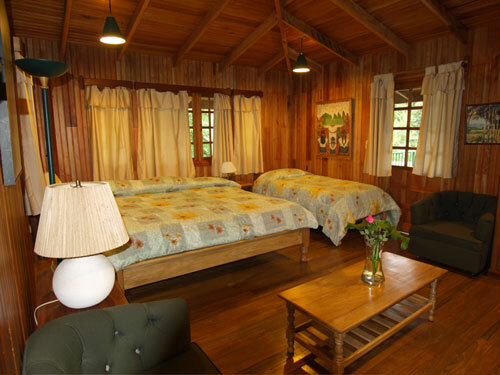 It is our privilege to be one of the only eco-vacation resorts in Panama or Costa Rica that offers overnight accommodations inside a national park. Our climate varies from 75 degrees F (23 degrees Celcius) during a sunny day to 45 degrees F (7 degrees Celcius) on our chilliest winter night. But the one thing about our ambiance, which amazes most visitors, is the absence of biting insects – no mosquitoes, no chiggers, not even a stray no-see-um! Fortunately, our area also lacks venomous snake species.